Robert B. Woodruff graduated from Syracuse University in 1973, followed by Fordham University School of Law in 1976. He is admitted to practice in the Courts of the State of New Jersey, Third Circuit – as well as the United States Supreme Court. Prior to his current role, Robert served as an Assistant Prosecutor in both Mercer and Union counties. During his time with the Union County Prosecutor, he organized and served as legal counsel to the State’s first Arson Unit. 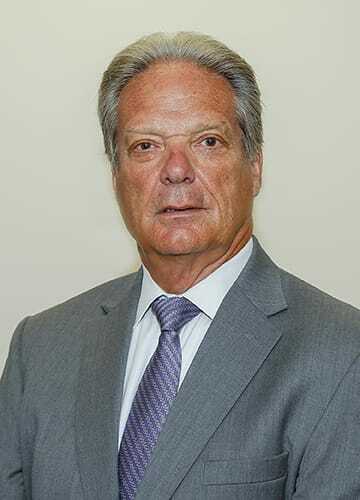 He was a partner at a firm based in Morristown, New Jersey for over 33 years – where he tried countless cases on police misconduct, personal injury, whistle-blowing, and discrimination cases involving both private entities and municipalities. Robert has been recognized by as a Super Lawyer from 2009-2016 and is AV rated by Martindale-Hubbell. The Super Lawyers list is issued by Thomson Reuters. Martindale-Hubbell ratings are explained at www.martindale.com. No aspect of this advertisement has been approved by the Supreme Court of New Jersey. *This comment, made by a judge in a particular case, is not an endorsement of legal skill or ability. Our State and Federal Constitutions protect all citizens from unwarranted intrusion by our government and its agents. This includes improper police conduct, whether it be false arrest or excessive use of force. Robert Woodruff has been representing clients who have been victimized by such unconstitutional actions for over thirty-five (35) years. If you believe you have been the subject of inappropriate conduct by law enforcement, please contact our firm. Your rights deserve to be protected.